Good morning, just letting you know the carbs you repaired work great . toll free tech support - talking to a real person - not just email - 800 869-0497. We always endeavor to provide complete service and tuning help. Note: externally dirty carb will have $40 cleaning charge. The Factory Pro HDJ System allows leaner jetting without surging than the stock style needle jet for best mileage and the "others" can't claim that. If that's true for you, you will need to rebuild the carb needle jet - It's not necessary to replace the carb body for $400. 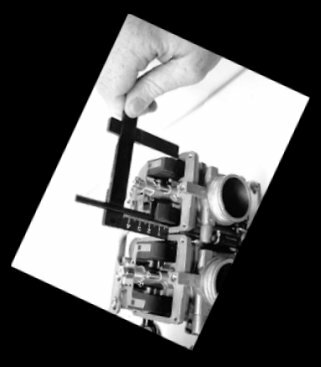 We will rebuild your carbs' needle jet orifice by replacing the original worn-out needle jet (they aren't normally replaceable) with our new plated and patented HDJ (High Dispersal Jet) system. This Factory Pro developed and patented HDJ system will both replace the worn needle jets and improve and upgrade Mikuni's traditional method of delivering fuel through the needle / needle jet area. 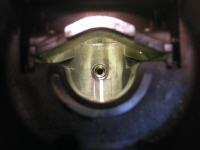 How special is the patented HDJ fuel delivery system? 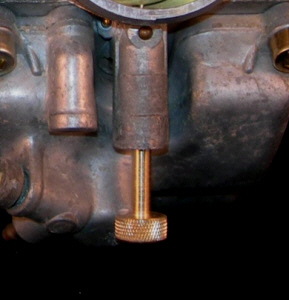 It's patented, and it IS different - if you didn't know what you were looking for in the carb - you'd never see it. It atomizes the fuel better than any other needle jet concept. But you'd feel the difference. Patented HDJ fuel delivery system - not cheap round inserts w/o HDJ. Typical in house turnaround time is ~1-2 working days. Customer will be called for payment and shipping instructions in 1-2 days when the job is done. Extended length Fuel Screws for easier adjust. Runs better than my old carb kit did. Adds more power at all throttle positions when properly tuned - For use when using the bike's original airbox. 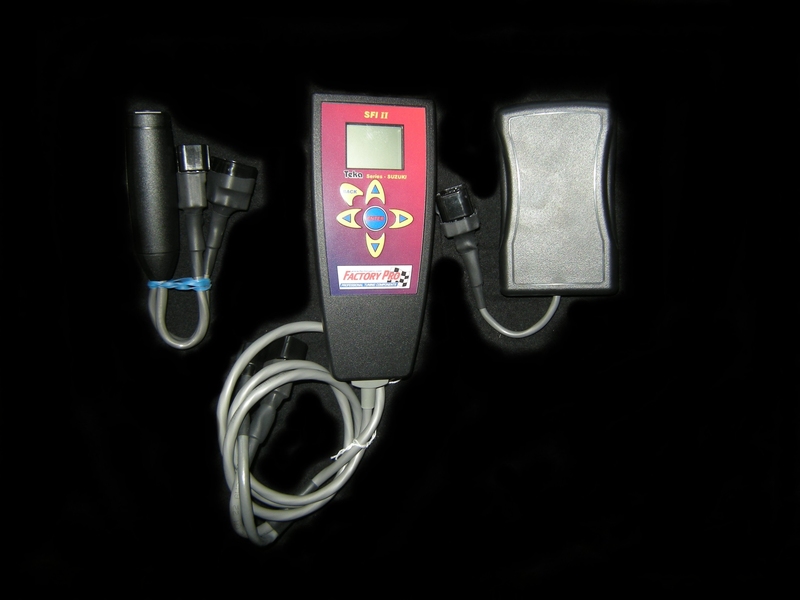 This kit will allow tuning for each individual bike and bolt on exhaust systems. Works well with stock exhaust or modified stock exhaust. This is the kit of choice - pulling stronger at part throttle and at full throttle. removed their bike's airbox and are running K&N or similar air filter. The only way to accurately measure float heights. Kowa Seiki's tool works on nearly every carburetor. Must be a pretty good tool as I used an identical one to adjust the floats in the 60's on a Honda 90 - and it hasn't changed a bit since then! I have installed your Config 10 kit on my VS800, which has Vance and Hines slip-ons, with the quiet baffles installed. I previously had the CXXXa kit installed, and the thing ran way too rich, even after lowering the needles (the needle they supply is much shorter than stock!) As you probably are aware, the CXXXa kit requires you drill the slide lift holes. Well, after installing your kit with the slightly leaner mains supplied ( I elected to go with the set up you had with the Cobra slip-ons, step by step), the throttle response was great off idle. It used to rev very rich and wet, almost to the point of shutting off. It pulls evenly off idle in second gear, but then it seems to lean out just a tad above mid range. So, after all this, here's my question; Is the bike transitioning too quickly to the mains because of the slides being drilled, and if so, can you compensate for it by dropping/shimming the needles, or should I raise/shim them? Should I go back to the stock mains, or should I try the richer one's in our kit? Or worse yet, did I trash my slides by drilling them? Any help would be greatly appreciated. I have heard nothing but good things about your products, and judging by the kit I purchased, you guys are awesome! Hope to hear from you soon.